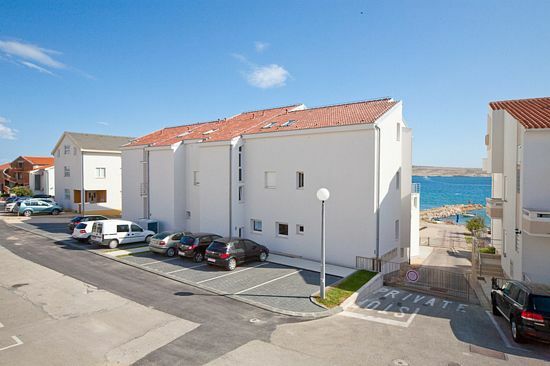 Apartments Barbati are situated by the sea, on the pebbly beach of the Vidaliæi village. Our guests can enjoy a sea view and, across the sea, look at the beach Zræe, Prnjica or Èista. In the house there are 8 luxury apartments, store with bread and milk and bar Barbati with comfortable armchairs and deck chairs from which, with a view on a crystal clear sea you can enjoy a morning coffee, afternoon cold bear or an evening cocktail. N +44° 32' 19" | E +14° 56' 55"